Why would I need self storage in Garden City, NY? There are a variety of reasons why you might need self-storage in Garden City, NY. How much is a storage unit in Garden City, NY? The cheapest storage unit in Garden City, NY is $103.00 per month. What size storage units do you have available in Garden City, NY? In Garden City, NY we have sizes that range from 5'x5' to 10'x30' to suit your storage needs. How much is it for a 5'x5' storage unit in Garden City, NY? The cheapest 5'x5' storage unit in Garden City, NY is $121.00 per month. Garden City is a mid-sized village in New York's Nassau Country. It lies 1mile northwest of Hempstead and about 18 miles east of Midtown Manhattan, and its convenient location has made it a popular bedroom community for the Big Apple. 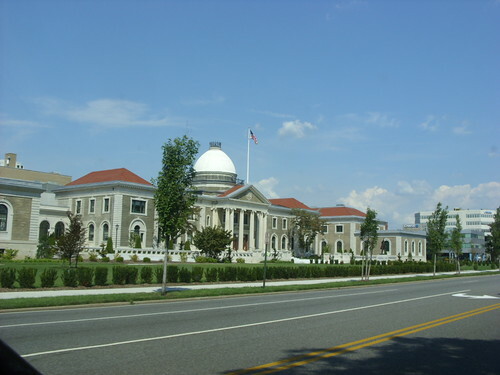 The village is home to Garden City Community Park, Adelphi University and Nassau Community College as well as several tourist attractions including the Long Island Children's Museum and the Cradle of Aviation Museum. Irish multi-millionaire Alex Turney founded the village in 1869. With his wife, he established several schools and local churches as well as a railroad that provided access to the community. In 1915, Garden City merged with the nearby community of Garden City Estates. Four years later, it earned official incorporation as a village. The period after World War II brought strong community growth in Garden City, though residential development was carefully planned in order to preserve the town's original design. Garden City's unemployment rate is much lower than the national average, which is a good sign if you're planning on looking for a job in the area. Predicted job growth over the next decade also shows the strength of Garden City's economy. Common jobs in Garden City are primarily white-collar and include sales, office and administrative roles as well as management, business and finance positions.Commercial developments, including the recently revitalized downtown area, provide jobs in retail stores and restaurants. While there are numerous job options in Garden City, the village is also within easy commuting distance of New York City, one of America's most important economic centers. Garden City Public Schools is a small school district responsible for the elementary, middle and high schools of Garden City. The district has been ranked very highly among New York state districts. There are a few parochial schools as well as an independent Waldorf school in Garden City. Utilities: The village manages and bills for residential water service. The area's primary energy provider is the Long Island Power Authority. Garbage and Recycling: The village's public works department is responsible for trash collection in Garden City. Transportation: The Long Island Rail Road offers a convenient public transit option in Garden City as well as in the other communities on Long Island. Ferry service provides a connection to the mainland. Garden City has more houses from the 1950s and the pre-war period than contemporary dwellings. If you're looking for a home with historic charm, you'll find plenty of options in the village. However, prepare to pay very high housing prices. The median home price in Garden City tends to hover around a million-dollars, due largely to the city's high desirability and convenient location. Our lowest priced units in Garden City, NY average $116.33 per month. 162 people have reserved units in Garden City, NY in the past 30 days. There are 3 locations within Garden City, NY's city limits. There are 2 locations in Garden City, NY that offer AC and Heating features.